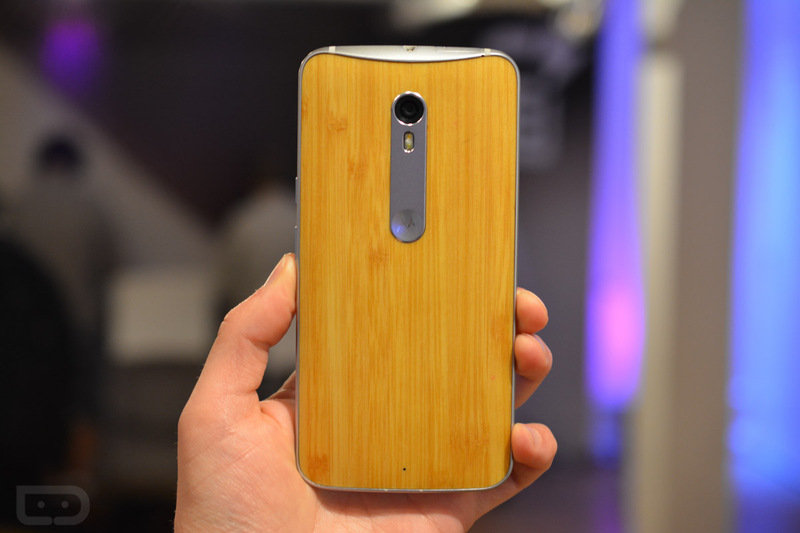 Sick of reading about the Moto X Pure Edition and would rather get your hands on one? You can now do just that at Best Buy stores. 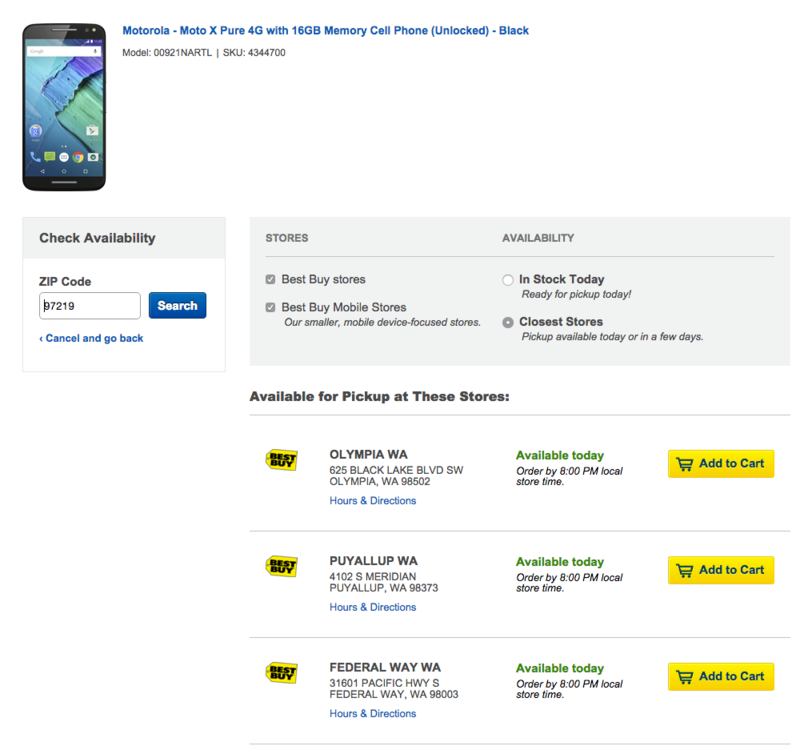 This evening, Best Buy’s website flipped the switch on black, white, and bamboo models of 16GB or 32GB with in-store pick-up. We have also heard that Best Buy stores have the phone on display for some physical rubbing from you. Before you cruise in, you should hit up the link below and check your nearest stores for availability. I live in Oregon and wasn’t able to find any nearby stores with the phone, but Washington sure seems to have plenty of stores with stock. Motorola told us that mid-September would be the time that the Moto X Pure would arrive in stores and it looks like they were spot on. Of course, if you can’t get into a store or they don’t have stock, you can always watch our unboxing again and see how the MXPE compares to the other Moto X models and the Nexus 6.